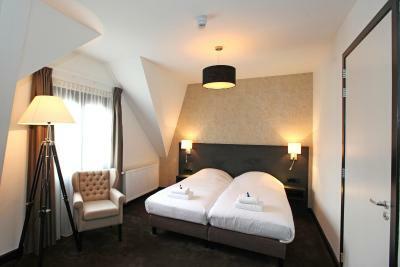 Lock in a great price for Grand Hotel Alkmaar – rated 8 by recent guests! The gentleman who was at the front desk was amazing with helpful information about his beautiful city. His restaurant recommendations were exceptional. Wonderful employee (sorry that I didn't get his name) and wonderful property. This hotel was an amazing surprise. It was right in the center of town and we walked to the opening of the Cheese Market on Friday which was really fun - get there early for good view. Do not miss trying a plate of Poufferies! Also 1 hour canal tour after Cheese Market. Hotel was really lovely and clean. Staff was amazing and helped me figure out travel arrangements at midnight due to train strike. Walk to restaurants by canal. We had Italian and watched boats come up and order ice cream from a shop across the canal. Rang bell for service! Wish we had stayed another night. The room was spacious, attractive and comfortable. Location is terrific, in the heart of the city. Breakfast was very good. 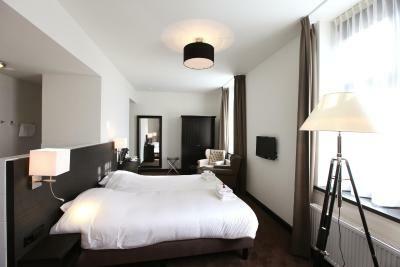 The breakfast, facilities in the room and location in the citycenter. very friendly and helpful staff. Loved the town of Alkmaar would go back again. 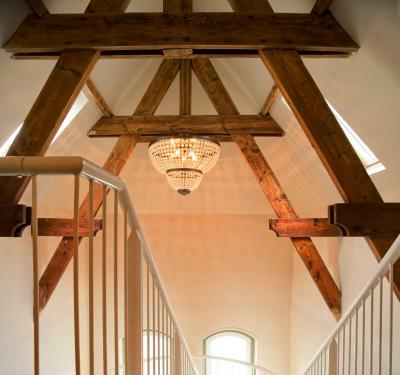 We had a large room with wooden beams at the top floor. The room had an interesting design with the toilet at one end the the shower at the other. The staff was nice and helpful. The location is a couple of minutes away from the Alkmaar cheese market . 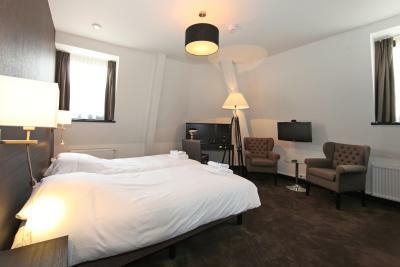 The room was superb , hotel in the middle of town , staff really friendly , a delight to stay there ! Highly recommended ! 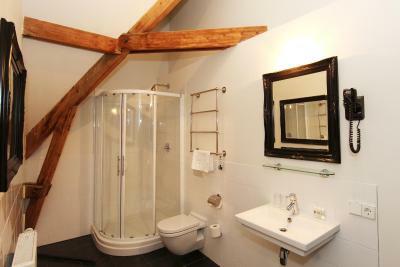 Excellent location, stone throw away from the famous cheese market. Delicious Breakfast with good coffee. Very helpful and friendly staff. Very near to shopping street & Jumbo supermarket. Lots of eateries within walking distance. 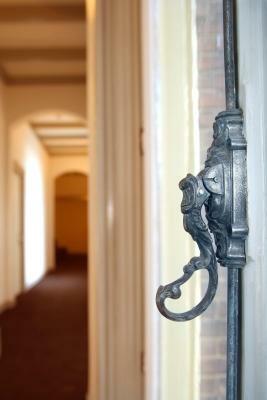 It is a renovated old building in the center of Alkmaar. Clean and friendly staff. I left some valuable staff in the room and they found it and gave back to me. 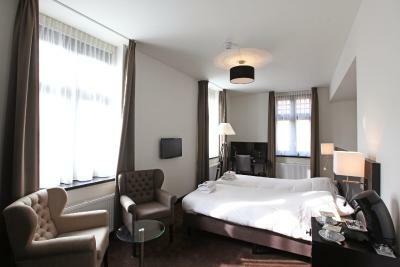 Grand Hotel Alkmaar This rating is a reflection of how the property compares to the industry standard when it comes to price, facilities and services available. It's based on a self-evaluation by the property. Use this rating to help choose your stay! 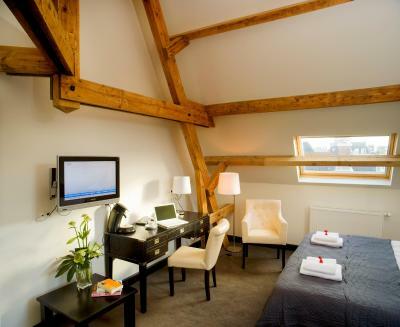 This 4-star hotel is located in a historical building, in the heart of Alkmaar, where it provides tasteful design rooms with free Wi-Fi internet. 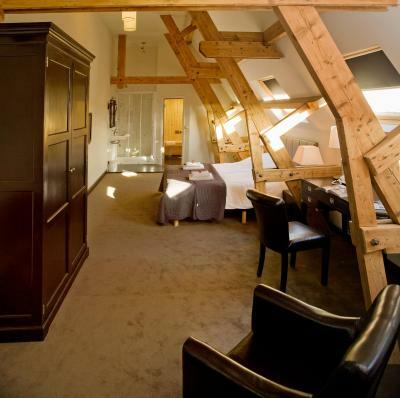 The Grand Hotel Alkmaar offers luxurious accommodations in its authentic residence, which has maintained many of its original features. Start your day with a wholesome breakfast in the trendy Brasserie Bar X-Press. 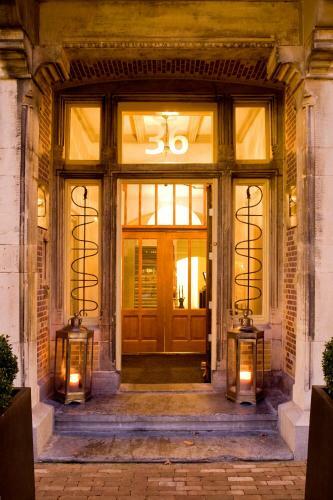 Enjoy the stylish atmosphere of this hotel and benefit from the excellent service of its 24-hour reception. 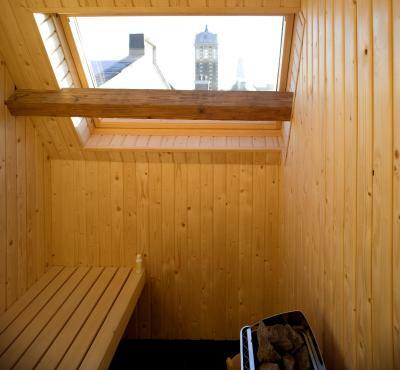 This is our guests' favorite part of Alkmaar, according to independent reviews. 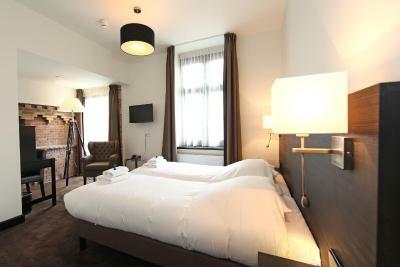 When would you like to stay at Grand Hotel Alkmaar? 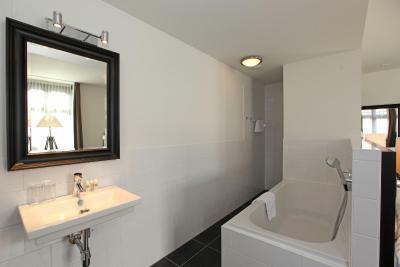 This room has a TV and a private bathroom with a shower. Free toiletries are provided. 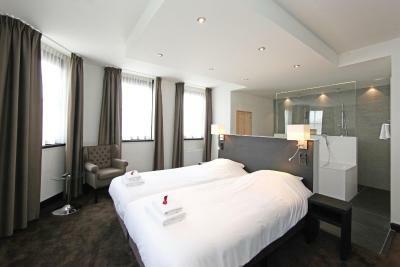 This spacious room has a TV and a minibar. 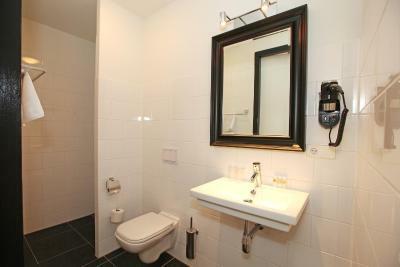 The private bathroom is fitted with a shower and free toiletries are provided. 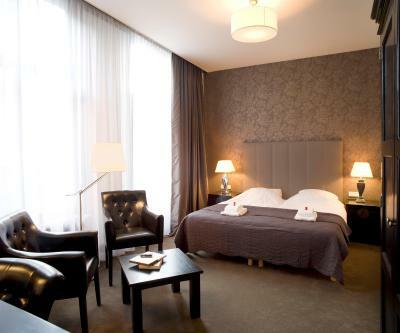 This spacious and luxurious room has extra amenities, such as a minibar. 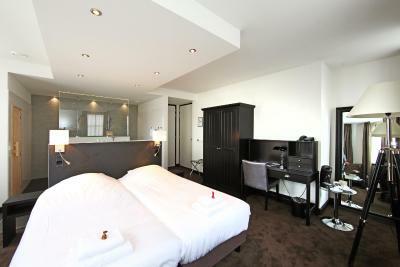 This is the largest room the hotel offers, provided with a minibar, Nespresso coffee machine and a private sauna. 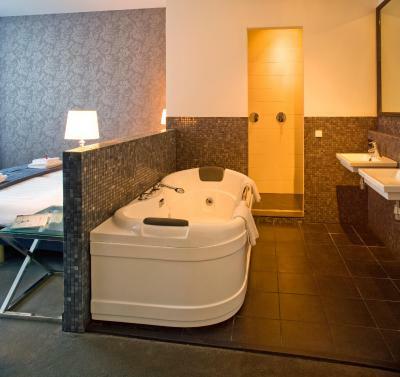 This is a very large room and offers several amenities, such as a minibar, a Nespresso coffee machine, a spa tub and a Duo Shower. House Rules Grand Hotel Alkmaar takes special requests – add in the next step! 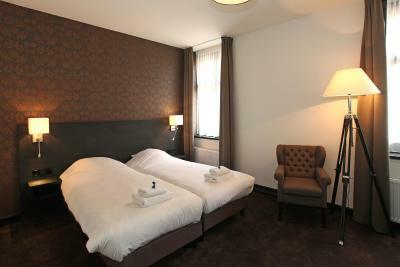 One older child or adult is charged EUR 27.50 per night in an extra bed. 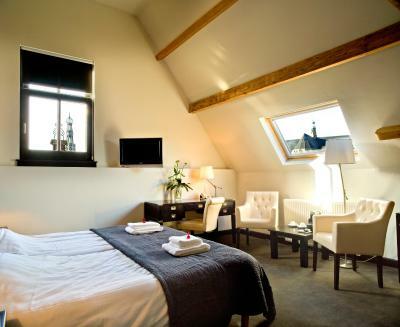 Grand Hotel Alkmaar accepts these cards and reserves the right to temporarily hold an amount prior to arrival. There was no sound proofing in our room and so it was very noisy (the Saturday night drinkers in Alkmaar till 5.00 am kept us awake most of the night). A very warm welcome by Niels. There were a couple of things that didn't really work for us: The view was not great (overlooking the inner court-yard where another building was under renovation). The mattresses were way too soft (the type you sink into). While these two aspects are not deal breakers in themselves, it was very cold in the room during the night and we could not get the air conditioning in the room to heat up (although we put it at maximum temperature). Internet wasn’t great ! But not a major issue ! ...to stay one night only in such a place!!! Marvelous old but renovated place. Very exceptional. Great rooms. Good breakfast. 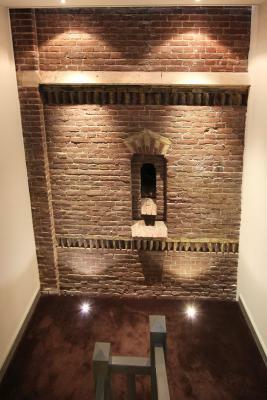 Perfect location in the beautiful city Centre. Great location right in centre. Highly recommend staying here. 10 minutes walk to train station. Each time we stay here we get an even better room and we enjoy it more. Staff is very helpful and friendly. We stayed due to running a race in the area (and fairly far from home) to save us from getting up extremely early. We had breakfast and the staff even gave us takeaway boxes so that we could take some sandwiches with us for the day. That's not very often this happens in Dutch hotels! I also unfortunately left 2 clothing items in the room but these items were sent to me within just a couple of days. The hotel itself is near a lot of bars and restaurants and the famous cheese museum!